Task Force Tarawa - A Personal Photo Album of Operation Enduring Freedom by Creighton L. Henthorn Jr.
by SSGT Creighton L. Henthorn Jr.
As some of you know, I am a U.S. Marine and have recently returned from Iraq. I just wanted to thank everyone that visits this site for their support and to share some of my experiences. My unit (1st Bn 2nd Marines) went to Kuawait as part of the 2nd Marine Expeditionary Brigade (MEB) (Dubbed Task Force Tarawa) from Camp Lejeune, NC. 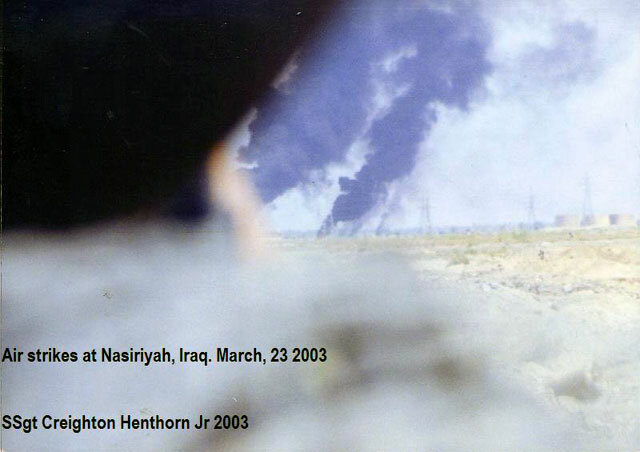 From the get go our mission was going to be to take the bridges in Nasiriyah to clear the route north for the 1st Marine Expeditionary Force (MEF) from California. 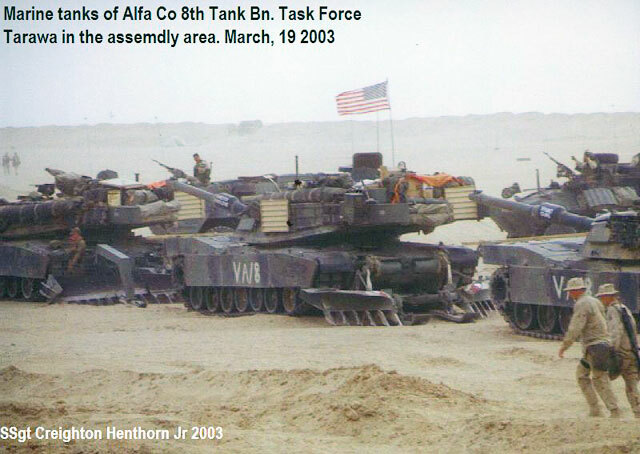 On March 20th we left our base camp in Kuwait and headed north to our assembly area. 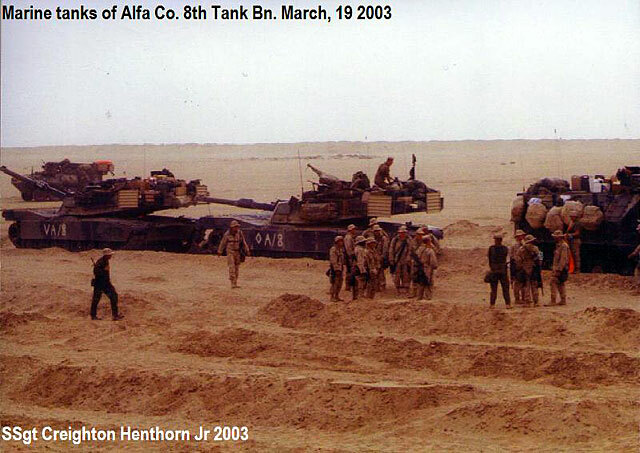 That night 1 MEF crossed the breach into Iraq and we followed the next morning. We headed north to Jalibah Airfield and on the night of the 22nd we set into a defensive position north of the airfield. 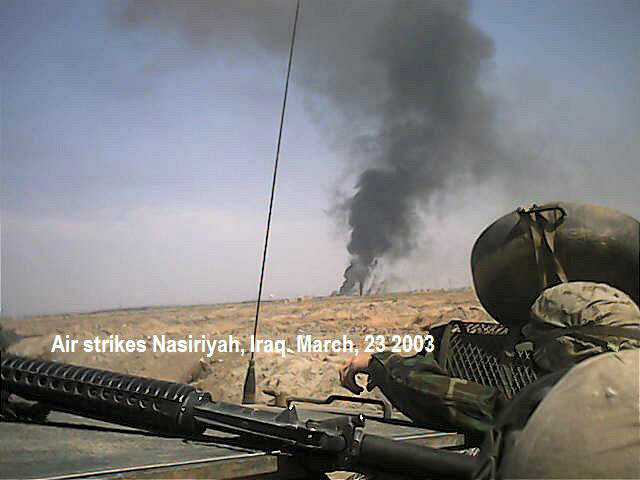 Early in the morning of the 23rd we packed up and headed for Nasiriyah. As we approached the city we ran into the remnants of the Army’s 507th Maintenance Convoy and our mission took on a new aspect. There were soldiers trapped in the city. With our tanks low on fuel we pushed into the city with out them to take the bridges and try to rescue any soldiers we might find. When we entered the city and crossed the southern bridge we started taking fire. My company was assigned to hold the southern bridge. The other 2 rifle companies pushed to the northern bridge, one pushed off to the flank and the crossed the northern bridge. The company that crossed the northern bridge met heavy resistance. I can’t remember the exact numbers but these are close. 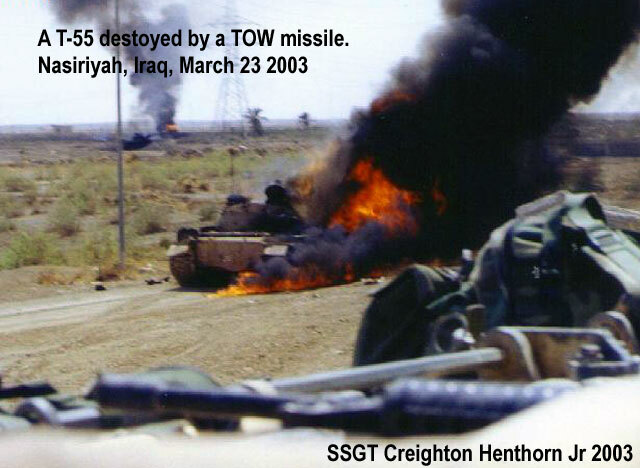 They lost 5 AAVs, 18 Marines KIA and around 14 WIA. If not for the brave actions of an unknown (at least to me) CH-46 pilot who landed in the midst of heavy fire to evac wounded there would probably would have been more dead. Towards the end of the day my battalion consolidated north of the northern bridge and evaced the rest of the wounded. All of our wounded survived to the surprise of us all. On the 24th we attacked west and set into a blocking position on the city’s northwestern bridge. We sat there until the 1st week of April. While there the battalion collected intell and found out that there was an Army POW in the city’s hospital. 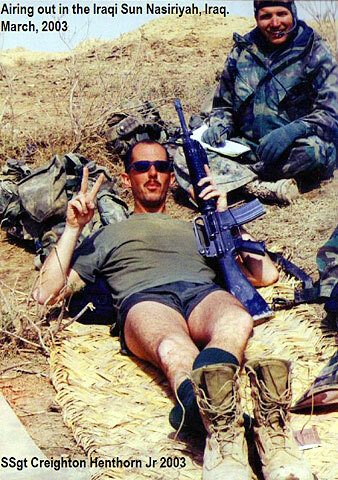 When the time came to rescue Army Pvt. Jessicah Lynch (I found out later that we went to same High School) our AAVs were on standby for a ground extraction if needed, fortunately it wasn’t. The rest of the war was pretty uneventful for us. We traveled all over Southern Iraq looking for remnants of the Iraqi Army but came up with nothing but abandoned gear and vehicles. 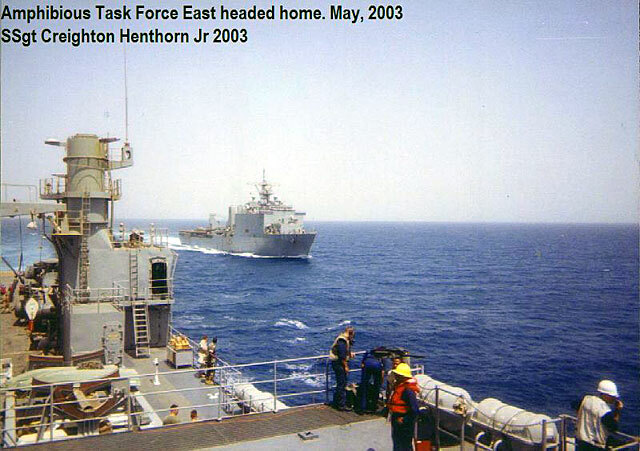 We left Iraq on May 8th and left Kuwait on ships of Amphibious Task Force East about a week later.